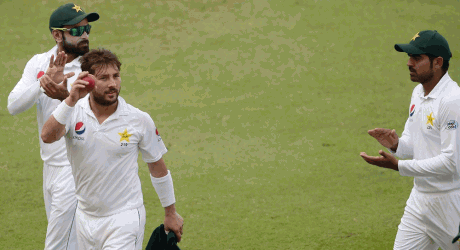 Yasir Shah, the leading and experienced leg break googly bowler of Pakistan, battered New Zealand on the third day of the second test match being played between Pakistan v New Zealand. The well known spinner showed the career best performance and he took 8 wickets for just 41 runs and bowled out the Kiwis on just 90 runs in the first inning. The weather condition on the third day was bad so that match was delayed. When the third day play was resumed, the magical Yasir Shah started damaging the Kiwi batting line up and he took 8 wickets in the first inning and the whole New Zealand team was out for just 90 runs. The Kiwis had to follow on and in the second inning, they lost two wickets at the close of the play. Yasir Shah took these two wickets and he took ten wickets in a day. He became the first Pakistani bowler, who took ten wickets in a day of the test match. His 8/41 is the best figure so far and it has proved that he is the best of any bowler against Black caps. Yasir Magical Performance Setting Up New Records. 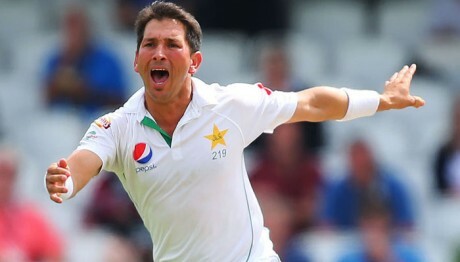 The strike rate of Yasir Shah was excellent and he took seven wickets on about 27 balls, which was the sixth best in the test cricket history. The previous five performances have been shown by the English bowlers, in which Stuart Broad is the current player, who is presently member of English squad and remaining four are the senior citizens. This is the third performance of any Pakistani bowler as Abdul Qadir grabbed 9 wickets for 56 against England runs in 1987 / 88 and Sarfaraz Nawaz took 9 wickets for 86 runs in 1978/79 against Australia. Two years before, Devendra Bishoo of West Indies took 8 wickets for 49 against Pakistan at the same venue. Yasir Shah also completed 50 wickets at the Dubai International Cricket Stadium, which are the maximum wickets by any bowler. He also completed 100 test wickets in UAE as he took 105 wickets in 16 test matches in UAE cricket stadiums.